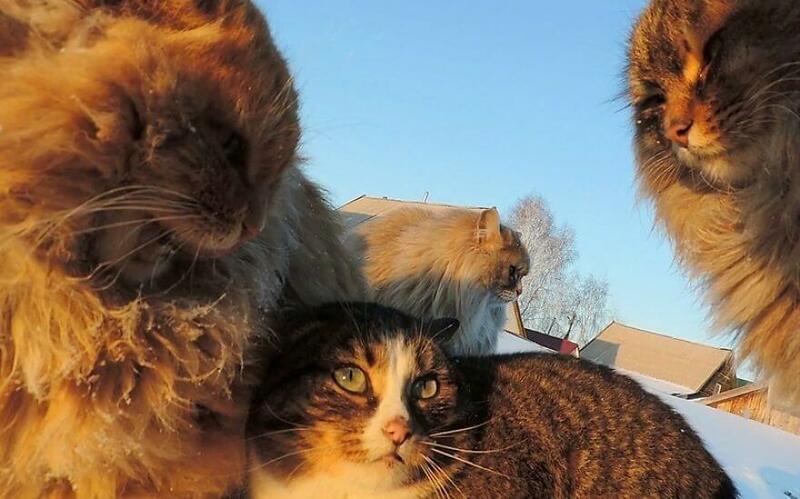 So you think you’re a crazy cat person? 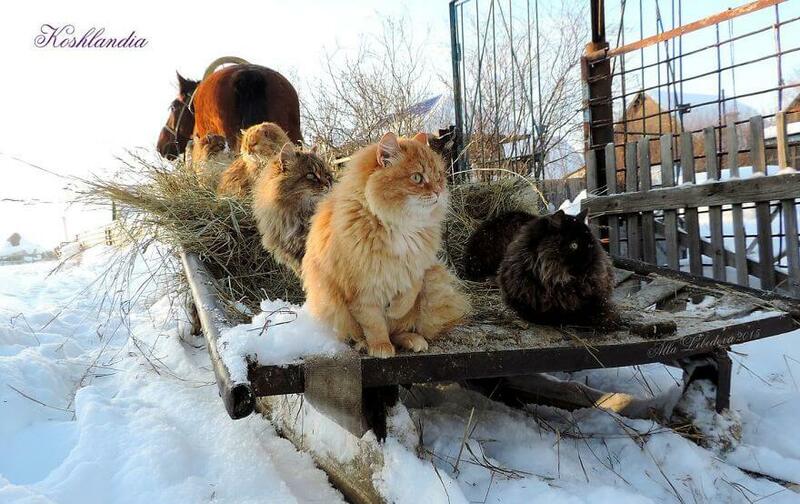 Think again because Russian farmer Alla Lebedeva might be even crazier than you. 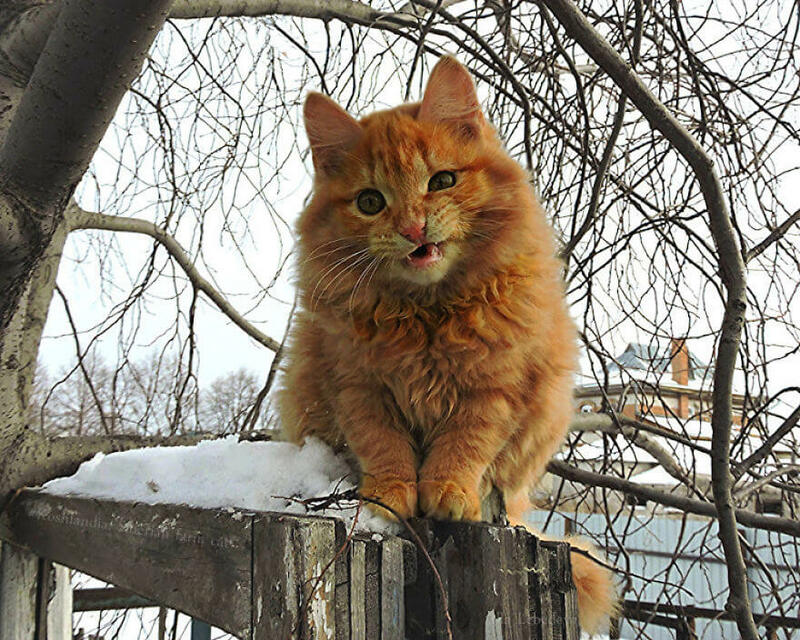 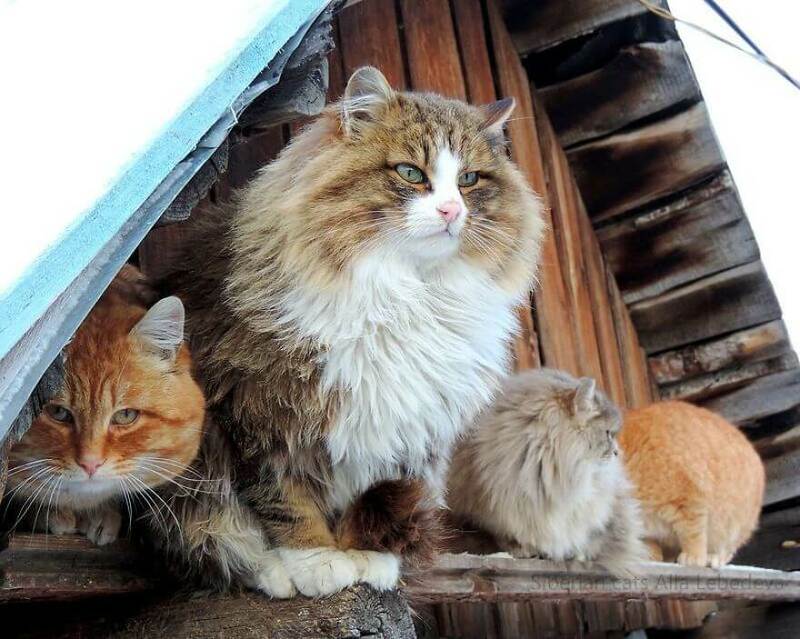 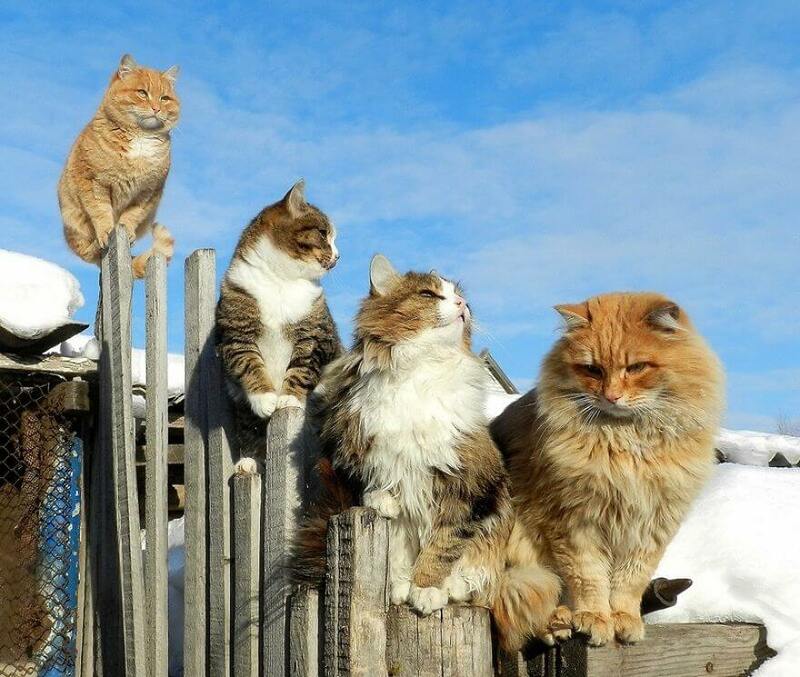 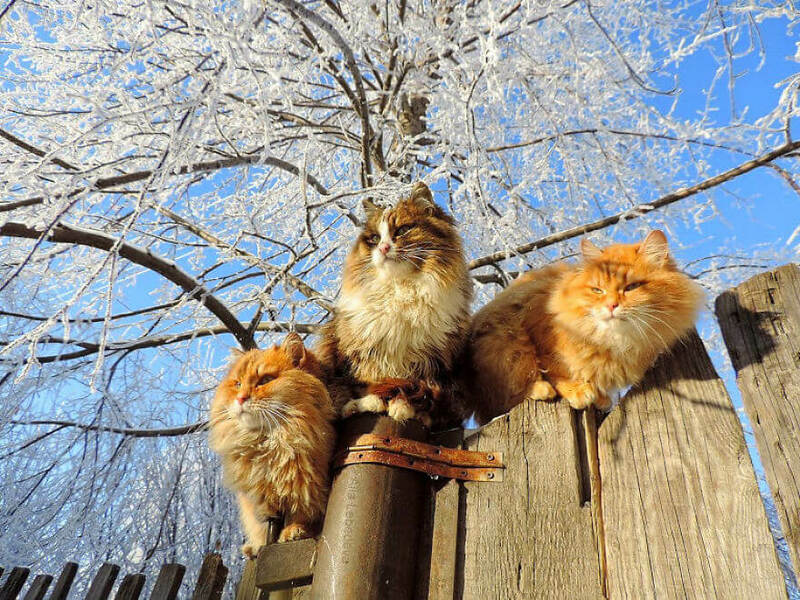 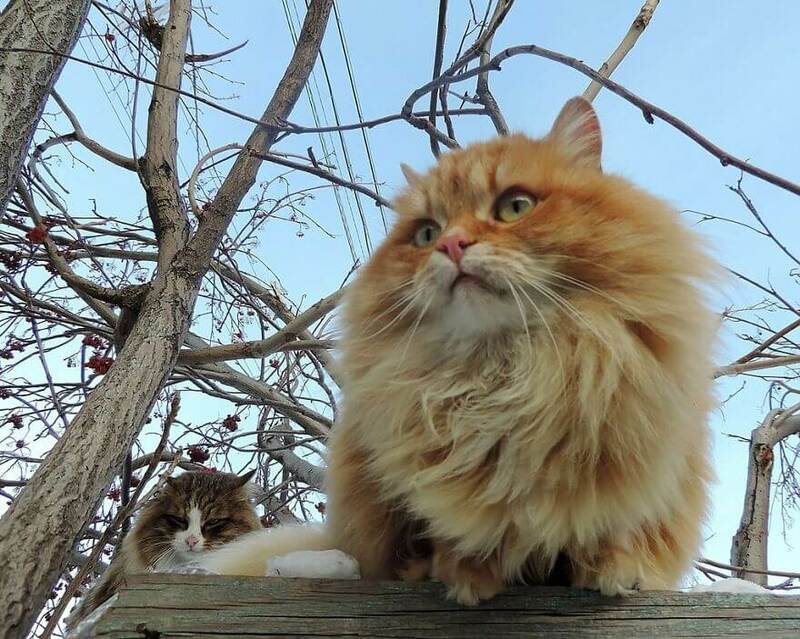 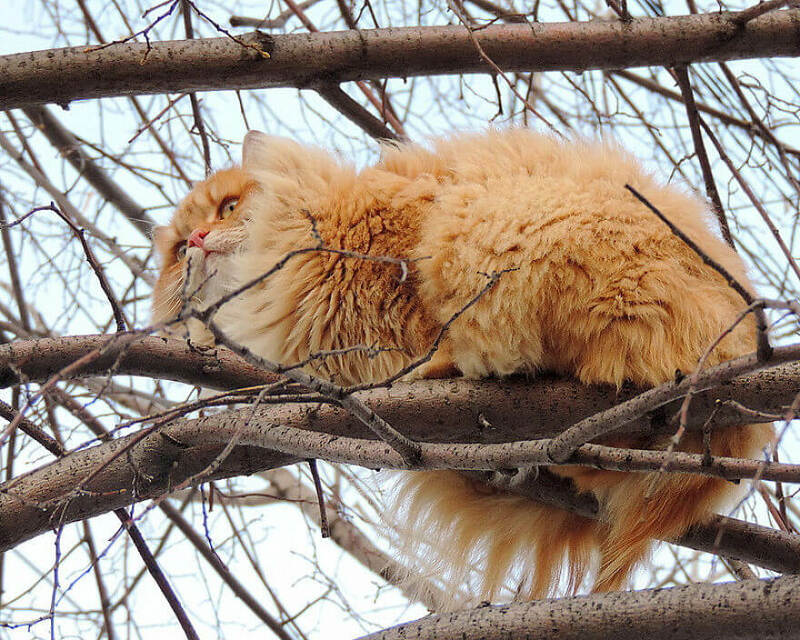 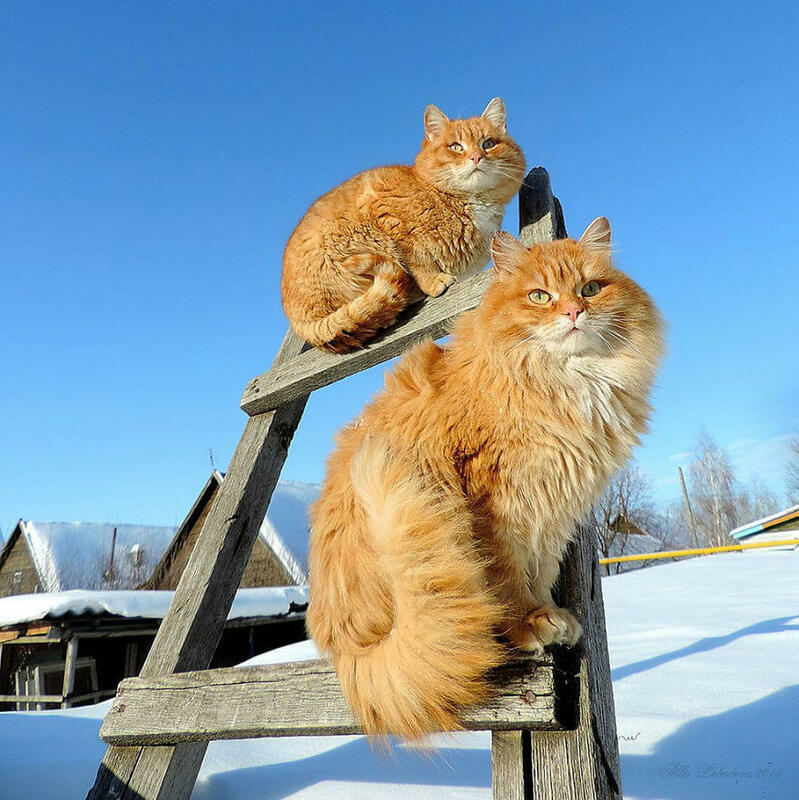 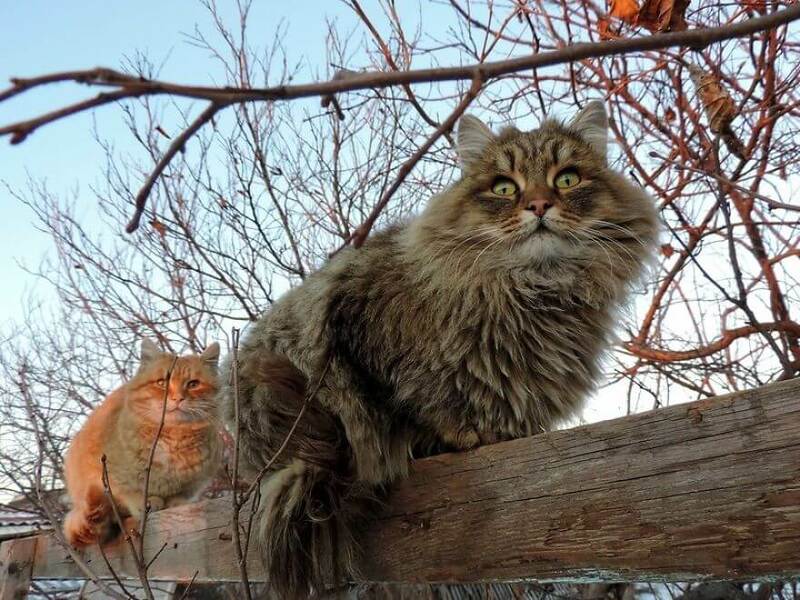 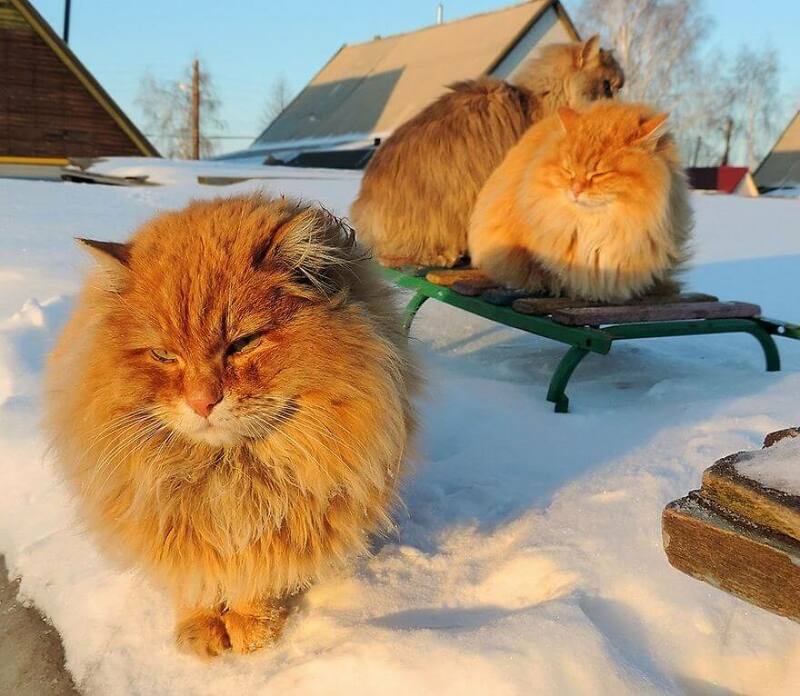 Have you turned your homestead into a “Catland” and gone viral for posting stunning photographs of your many Siberian cats in glorious positions? 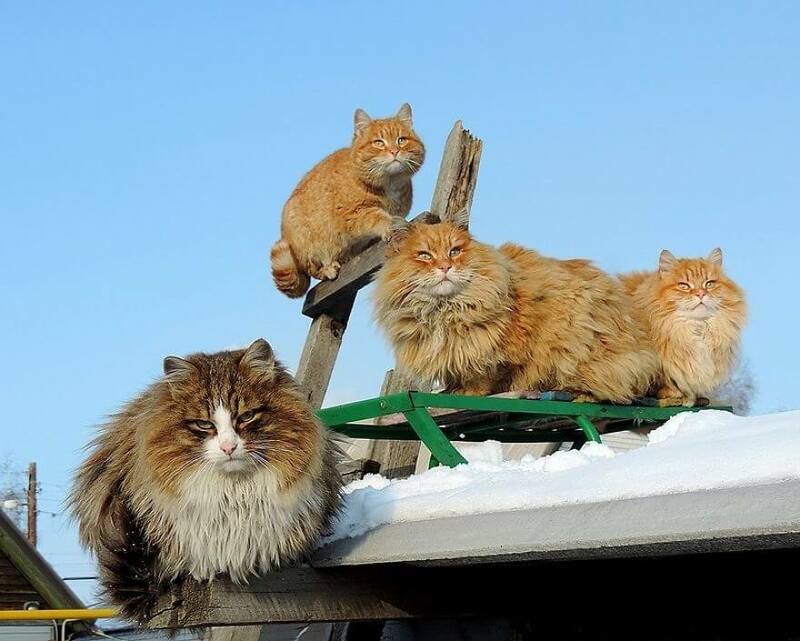 No, well, you’re not a crazy cat person. 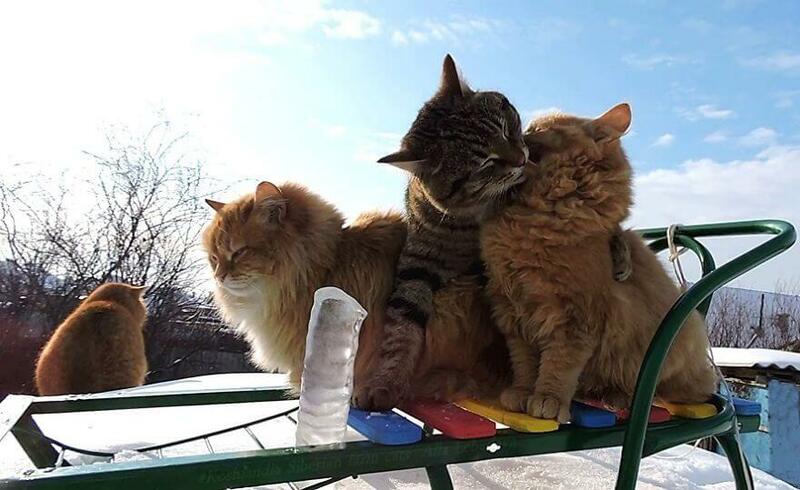 Try harder next time please! 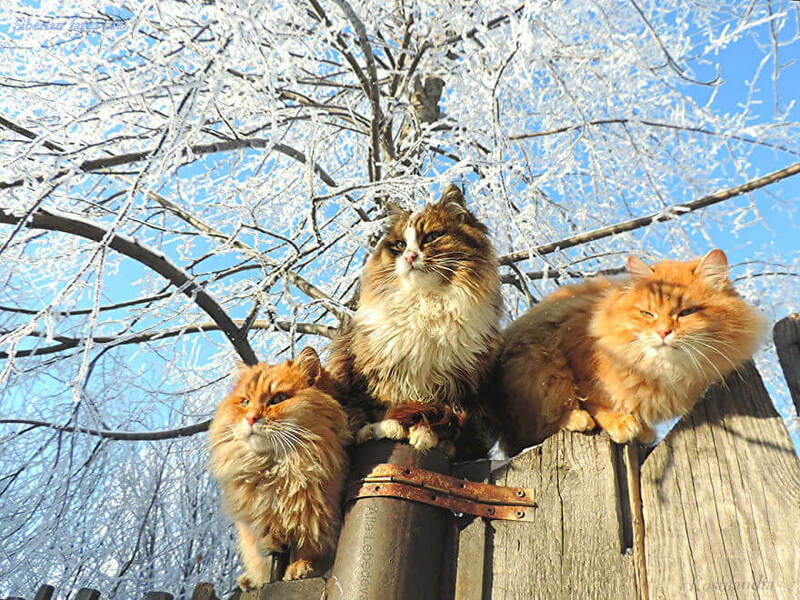 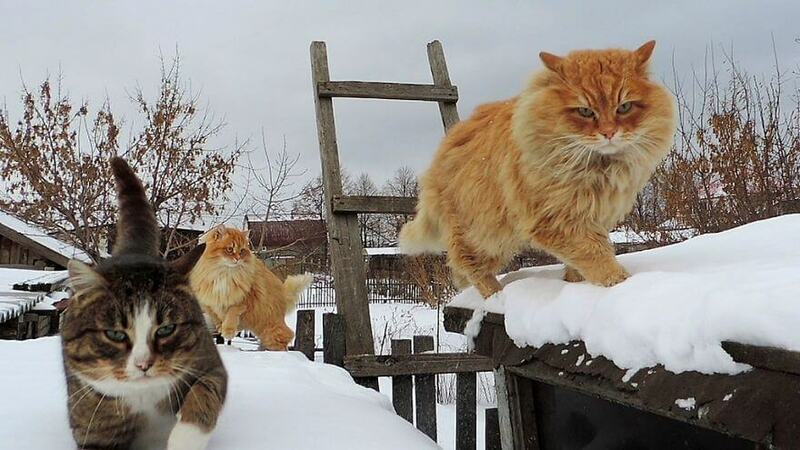 Today, we’re going to show you what it means to photograph and film your Siberian cats and go viral for it. 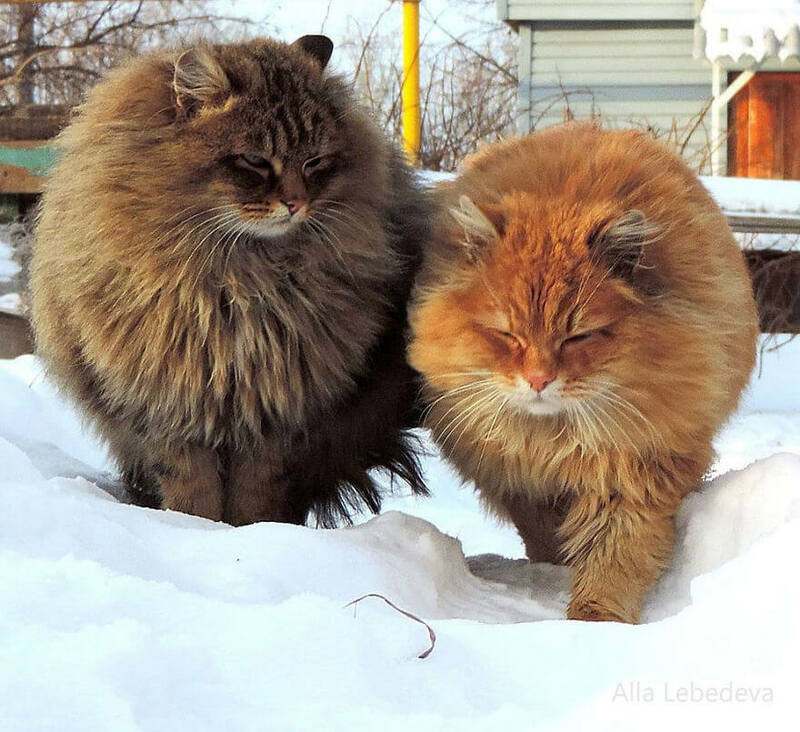 Alla Lebedeva and her husband, Sergey have been a huge cat persons for over a decade. 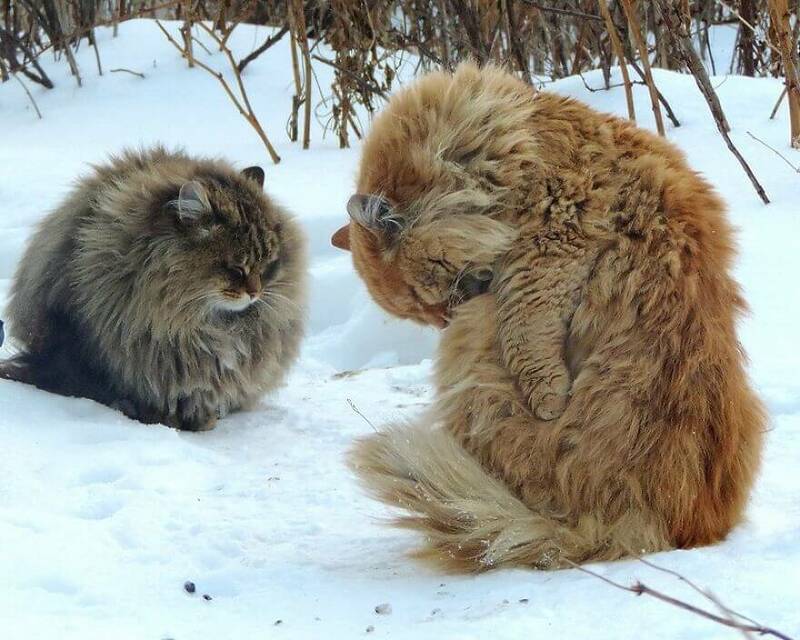 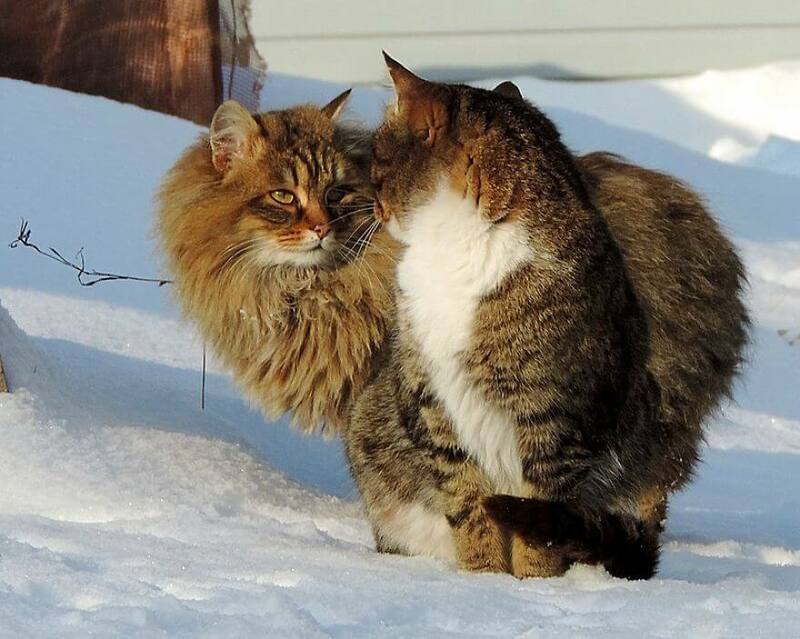 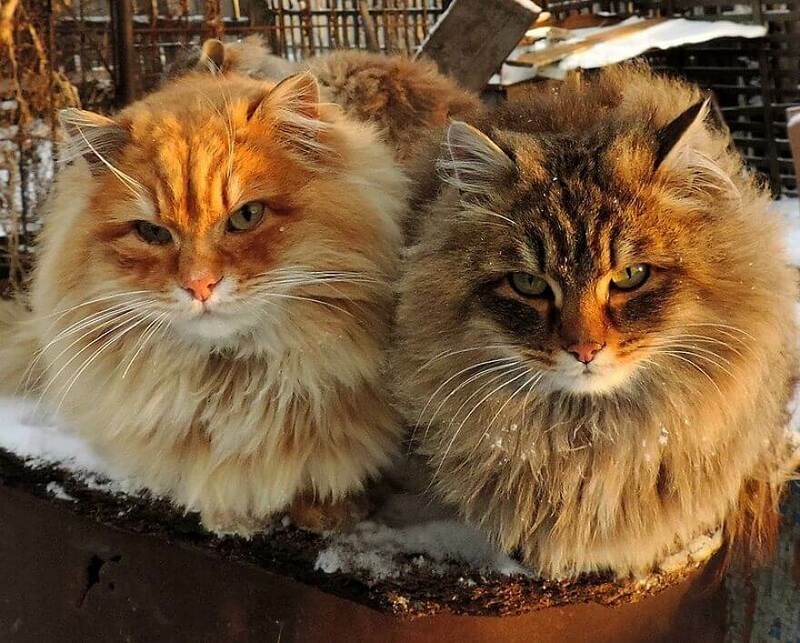 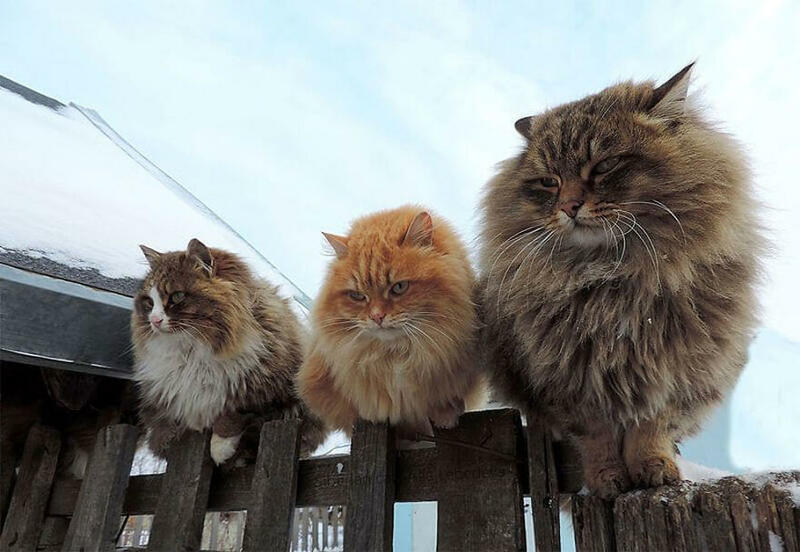 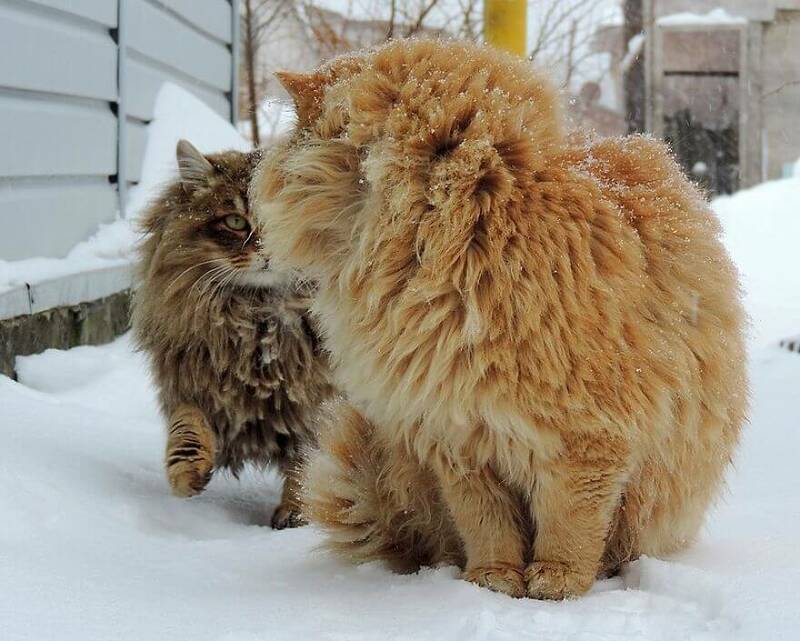 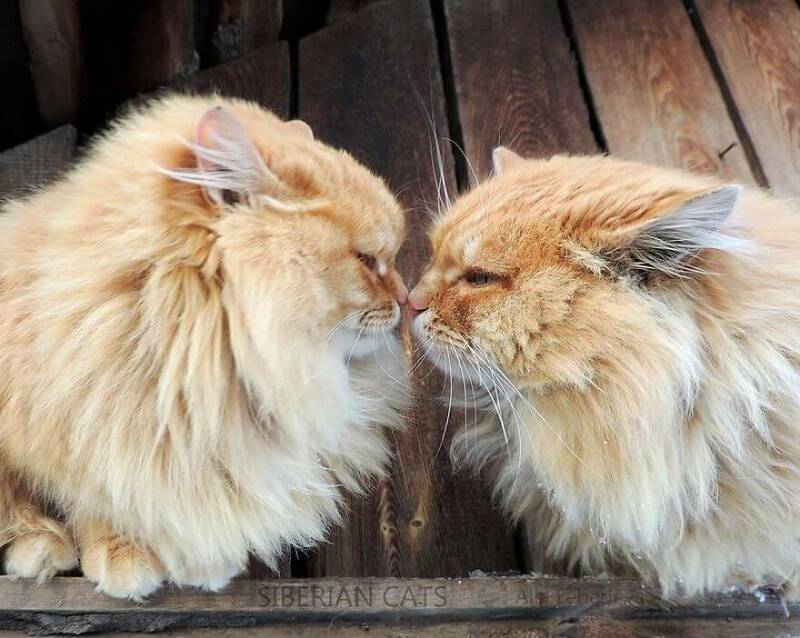 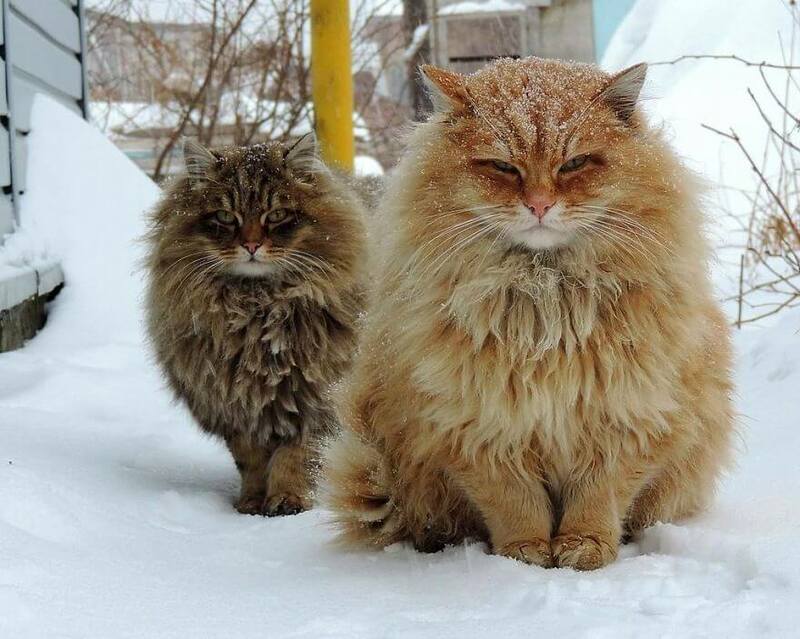 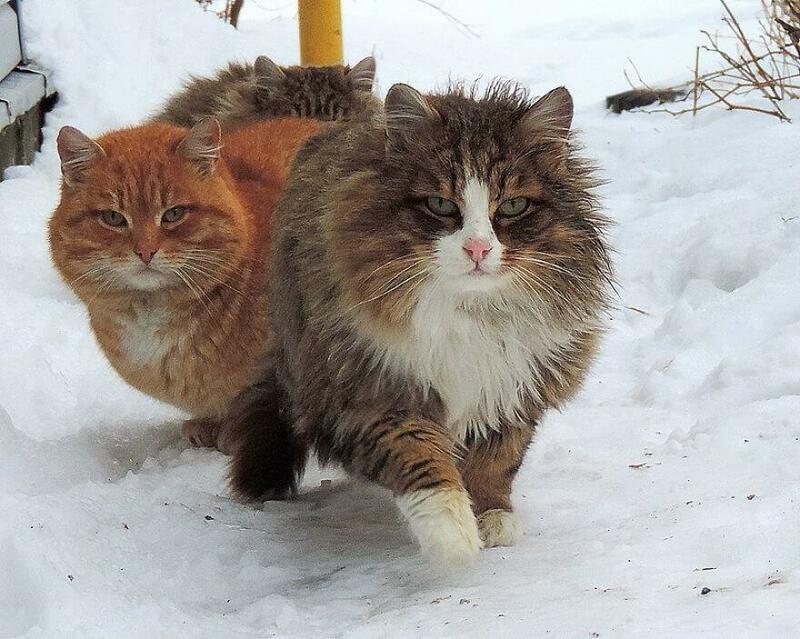 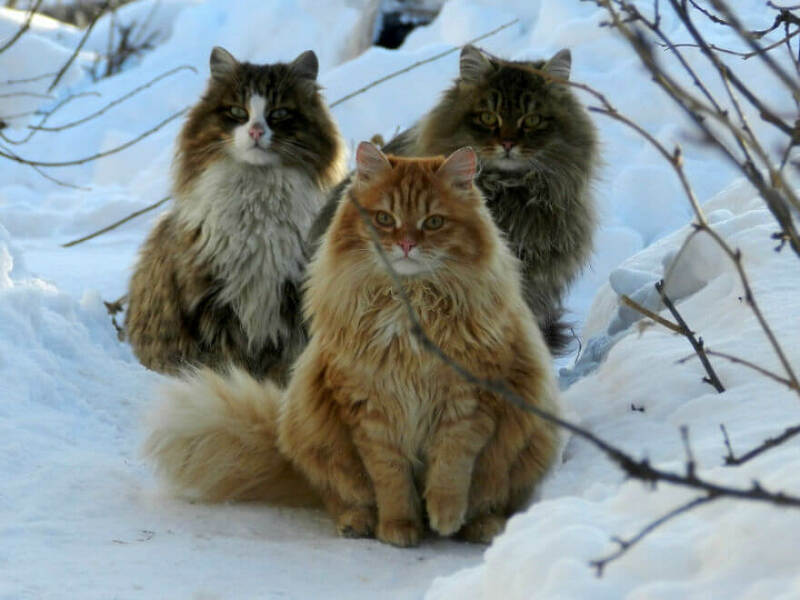 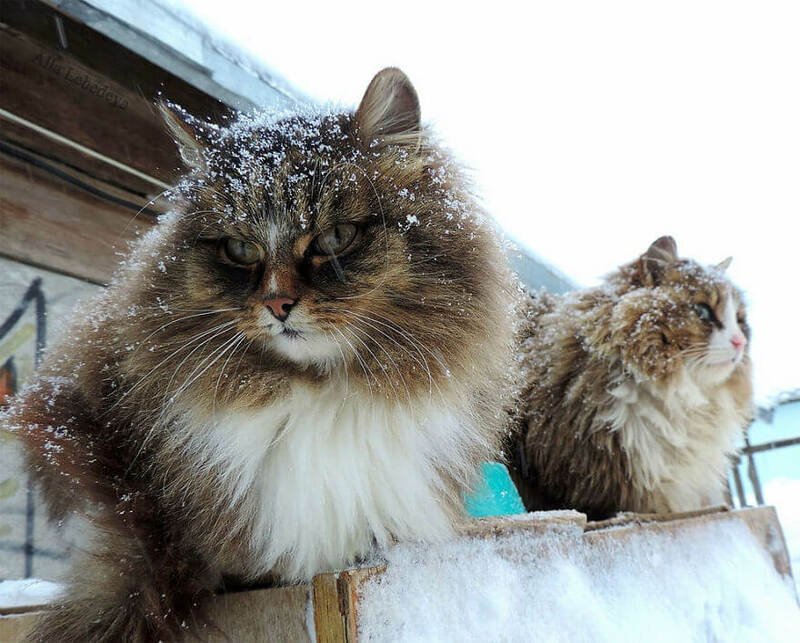 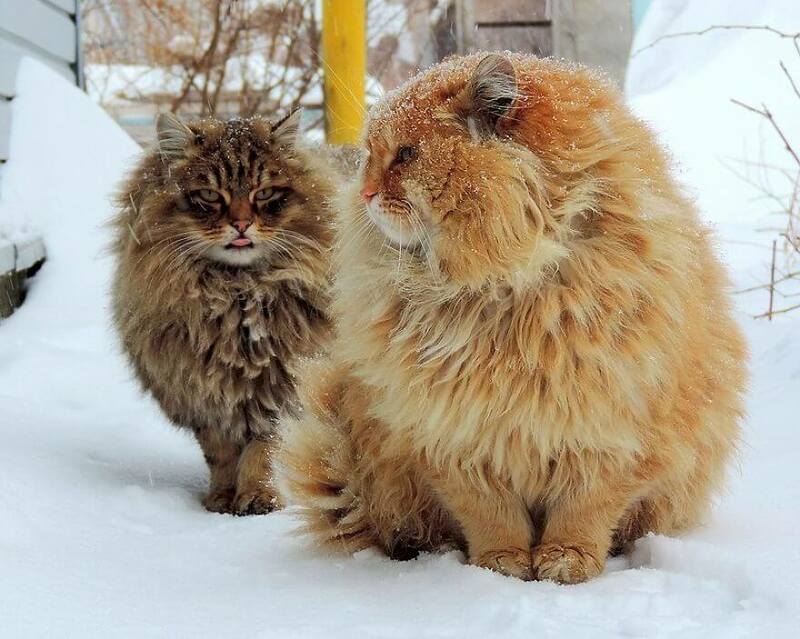 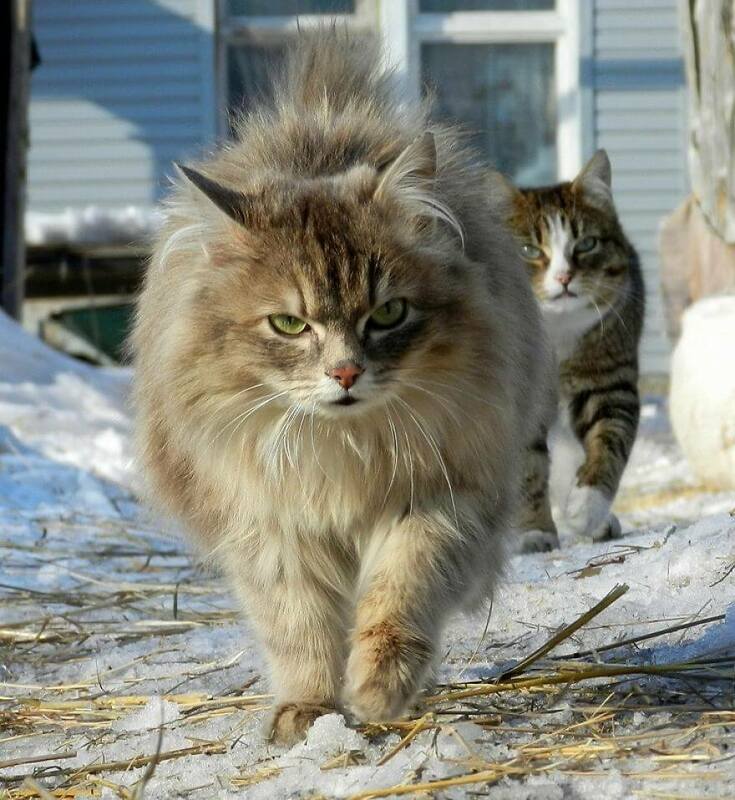 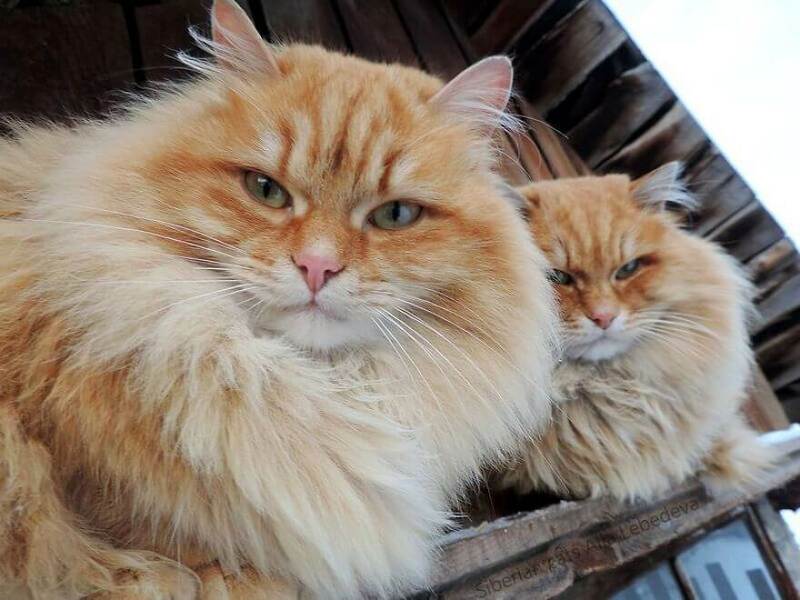 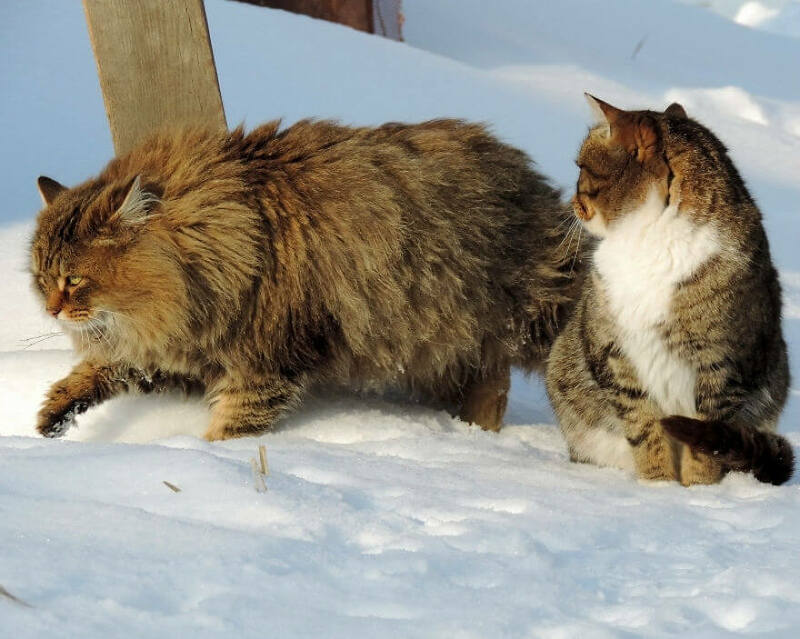 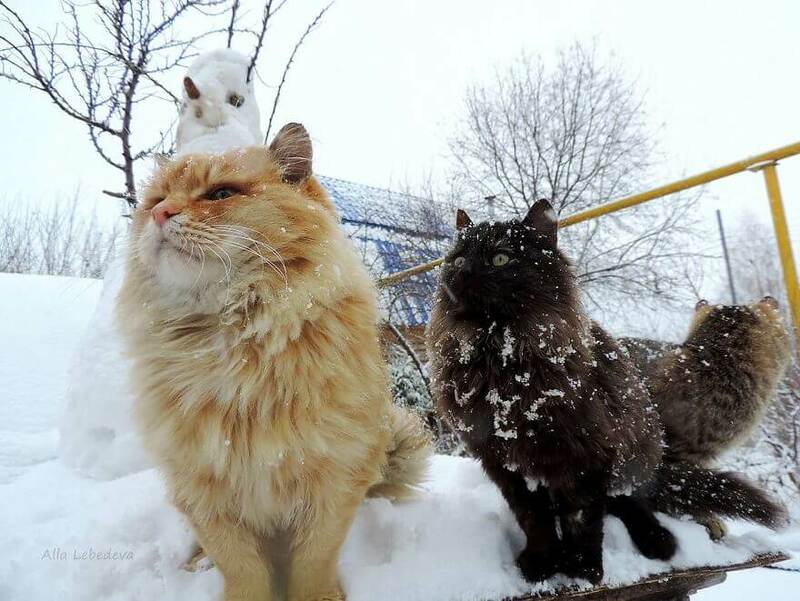 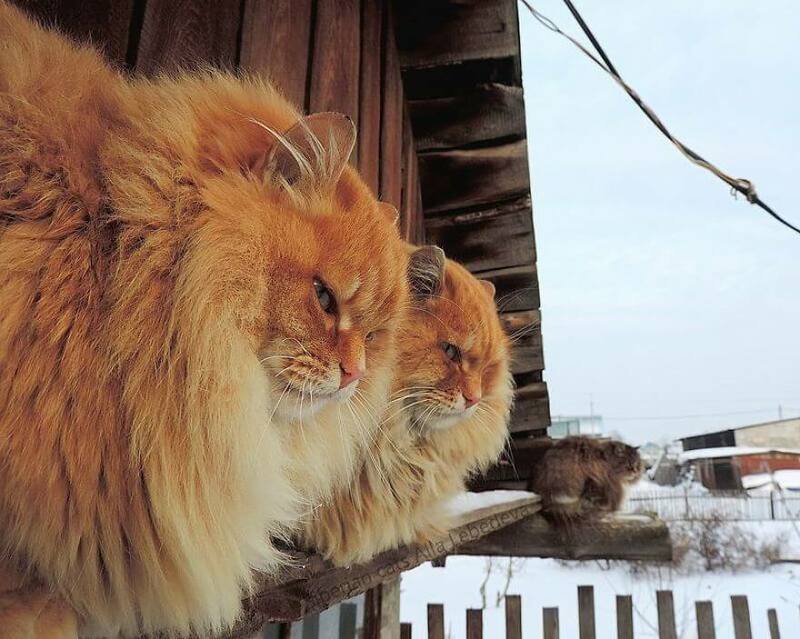 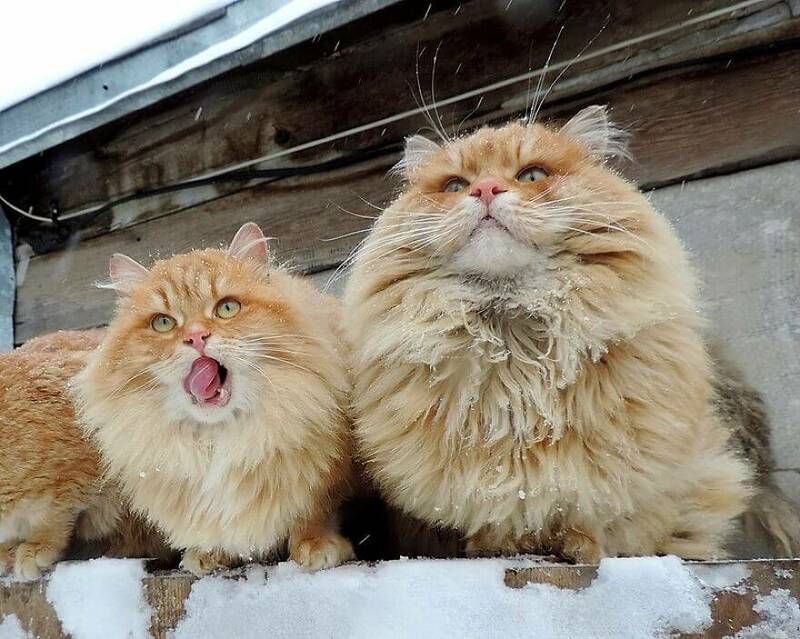 Their favorite breed are the Siberian cats. 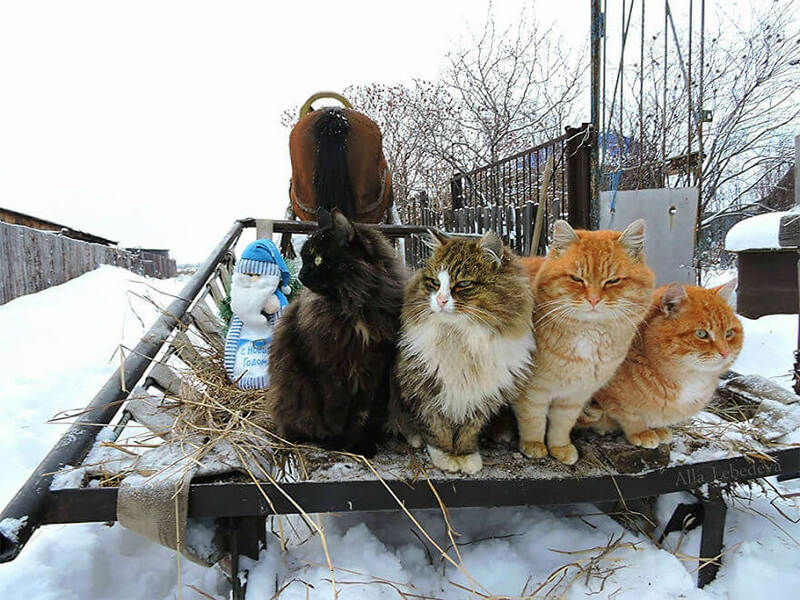 They live on a farm, in Prigorodny, outside of Barnaul, Siberia. 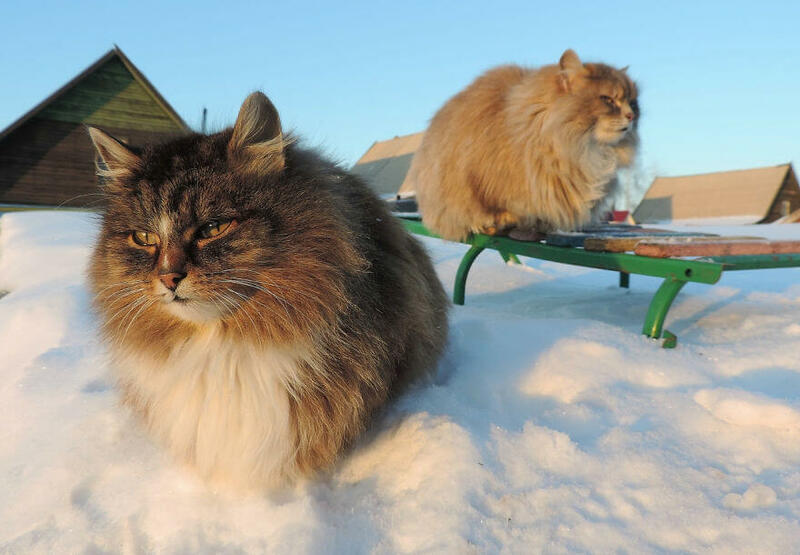 Of course, the Siberian cats feel right at home in their homestead. 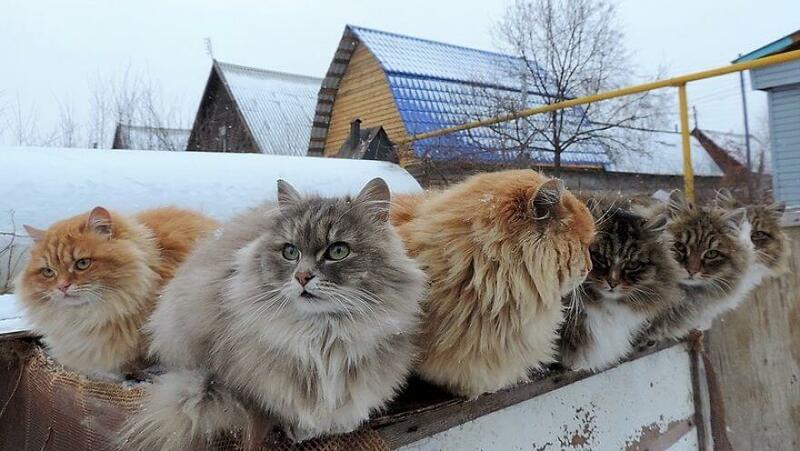 “How many do we have now? 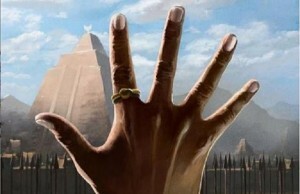 To such a question I usually answer ‘a million, maybe more. 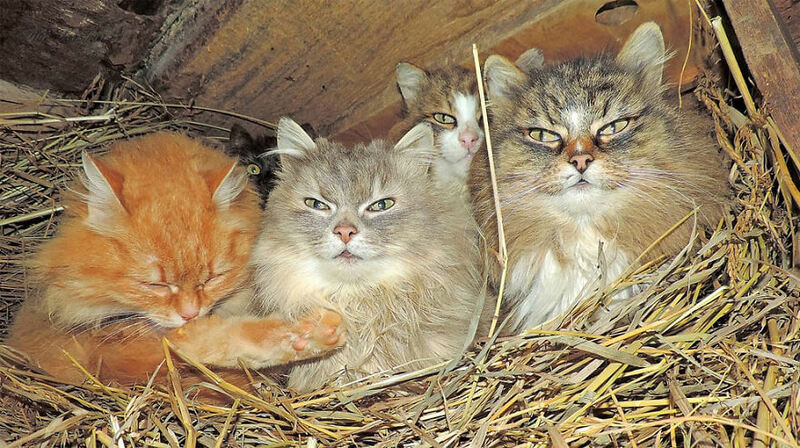 They live in the henhouse… They have three ‘little bedrooms’ there where can they sleep according to how they feel. 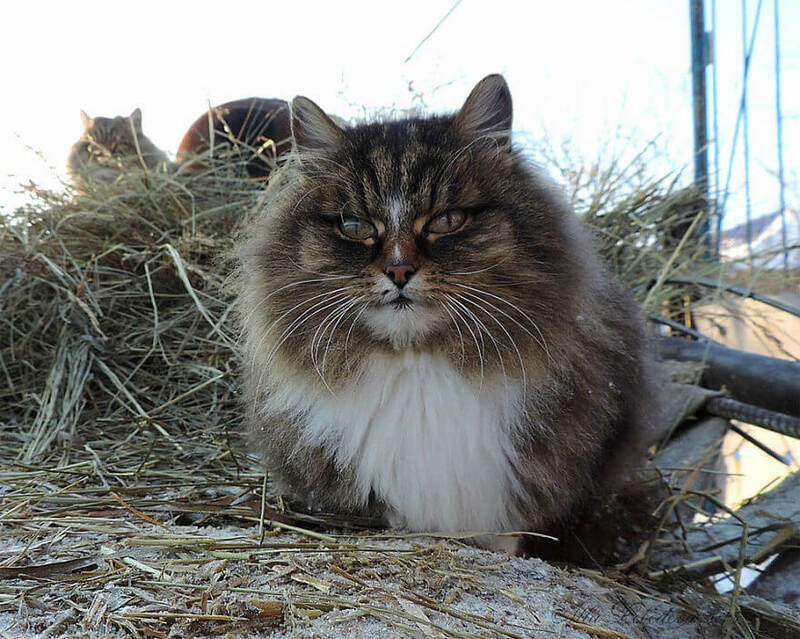 Our cats protect the chickens and rabbits from rats and mice”, says Lebedeva. 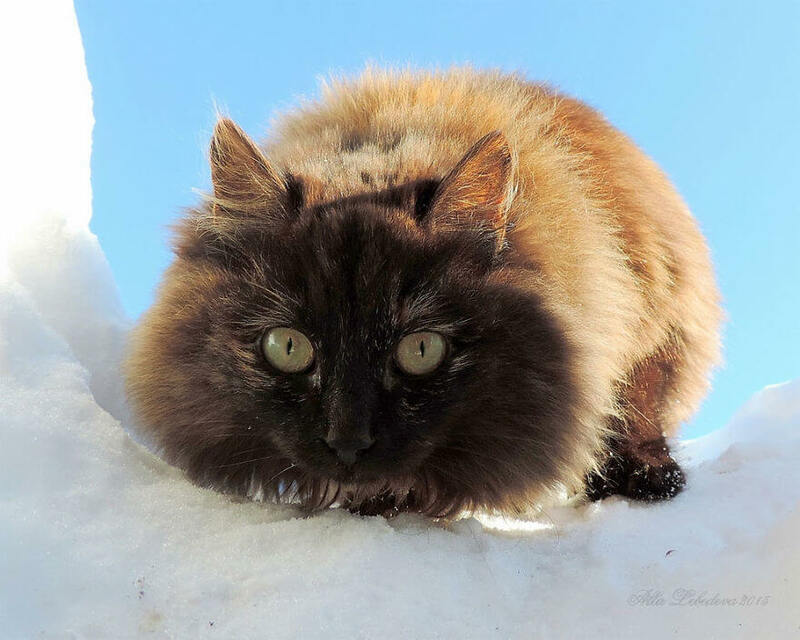 Alla’s feline friends currently have over 2 thousand fans on YouTube who follow their every glorious move. 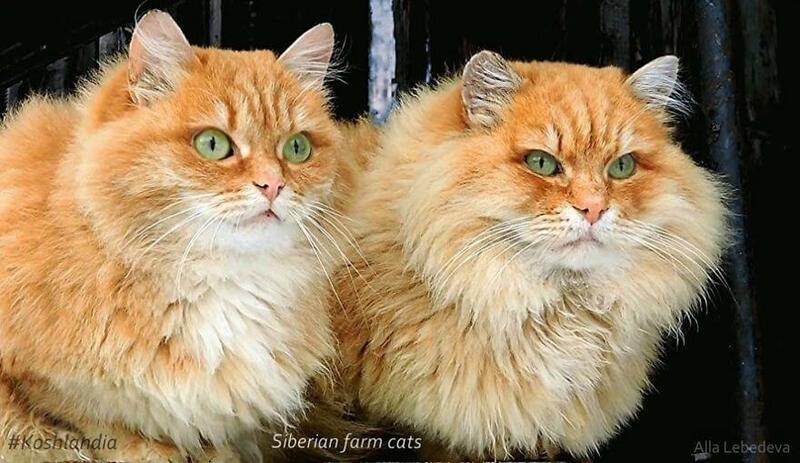 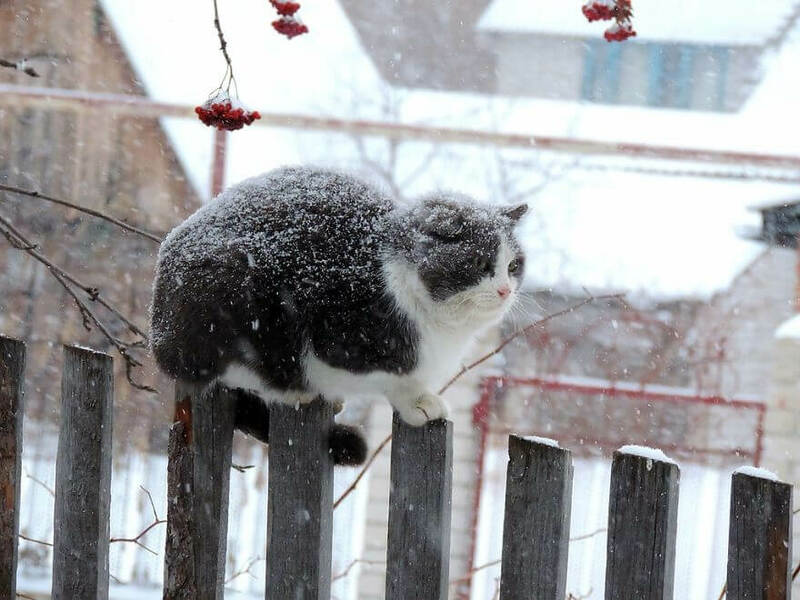 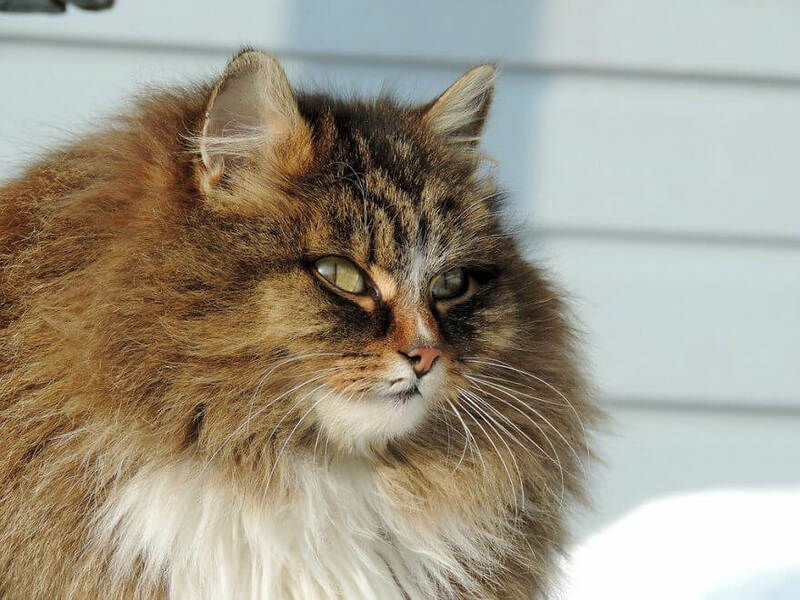 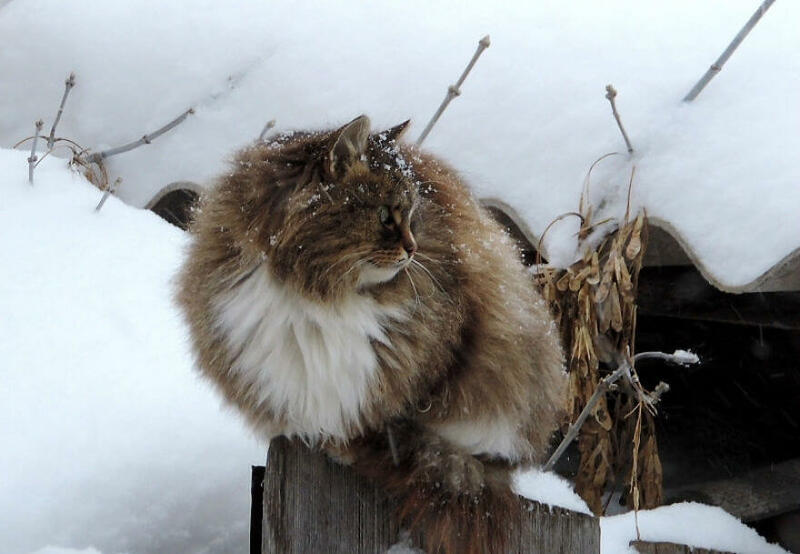 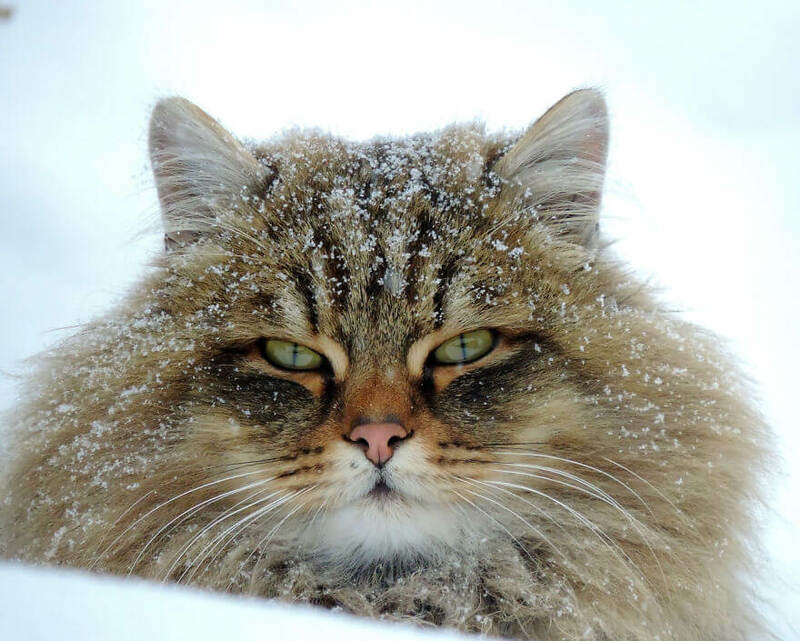 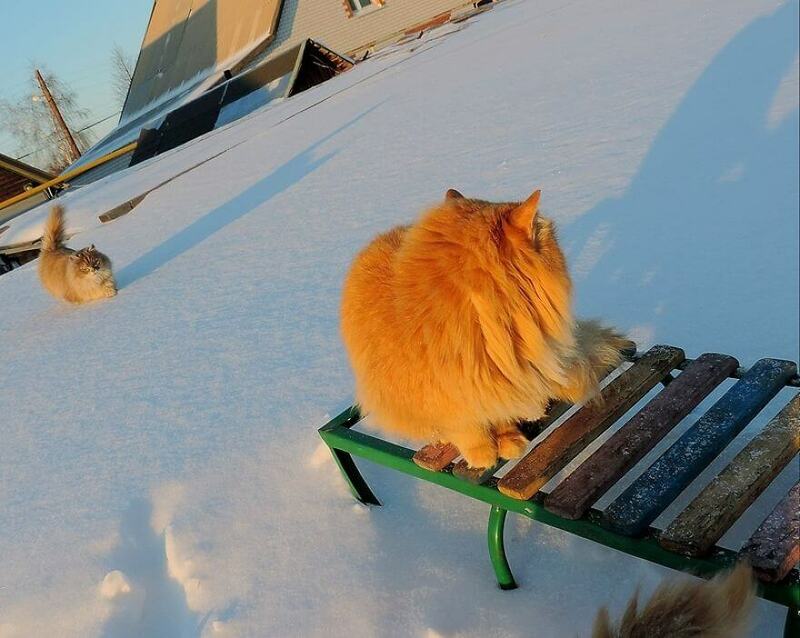 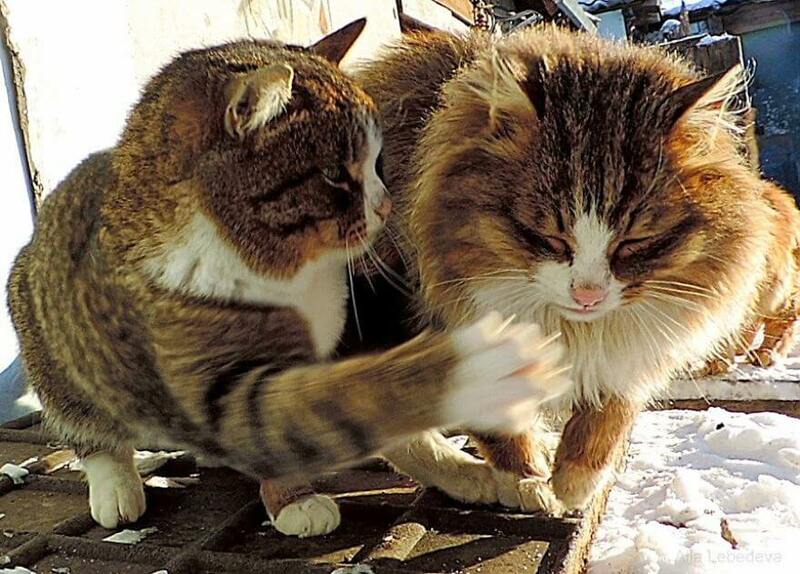 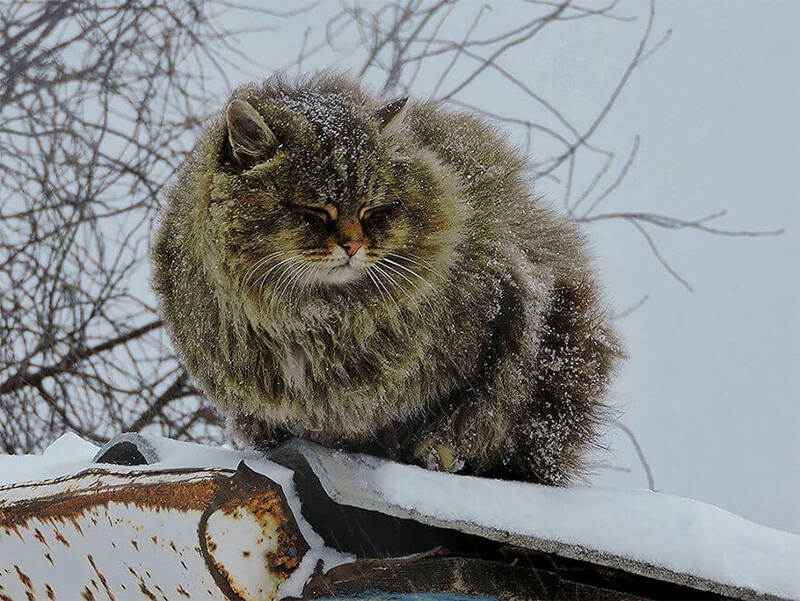 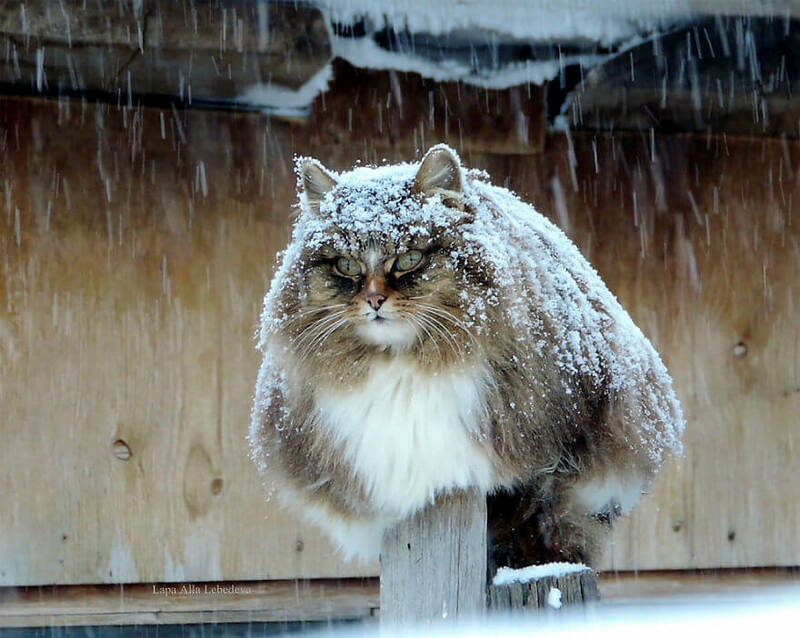 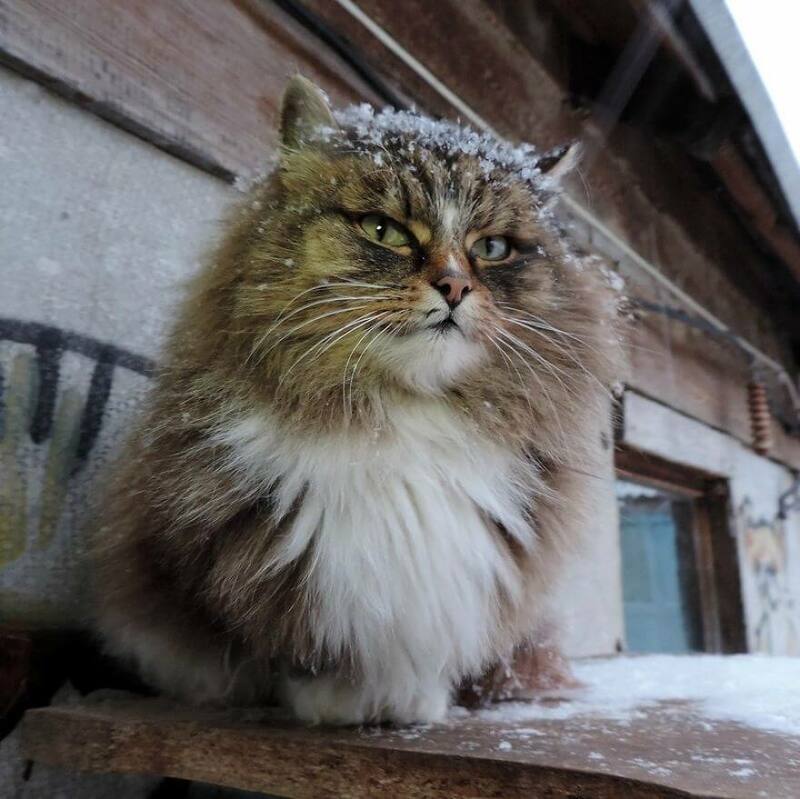 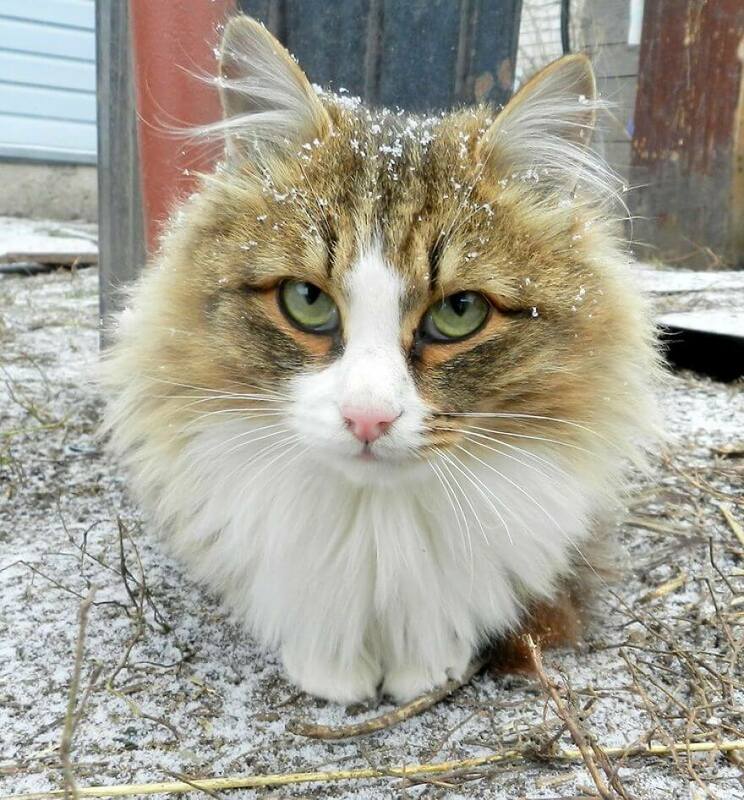 There are some people who know nothing of Siberian cats who call them “Norwegians”. 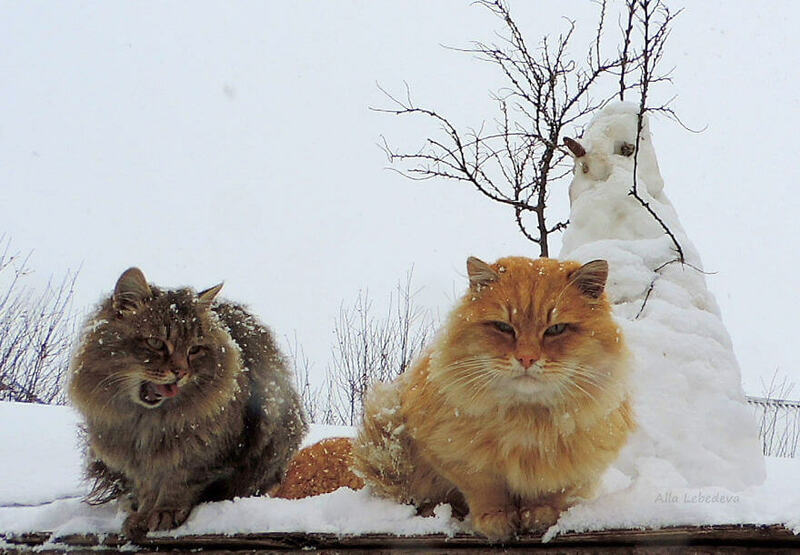 Alla is not happy with it. 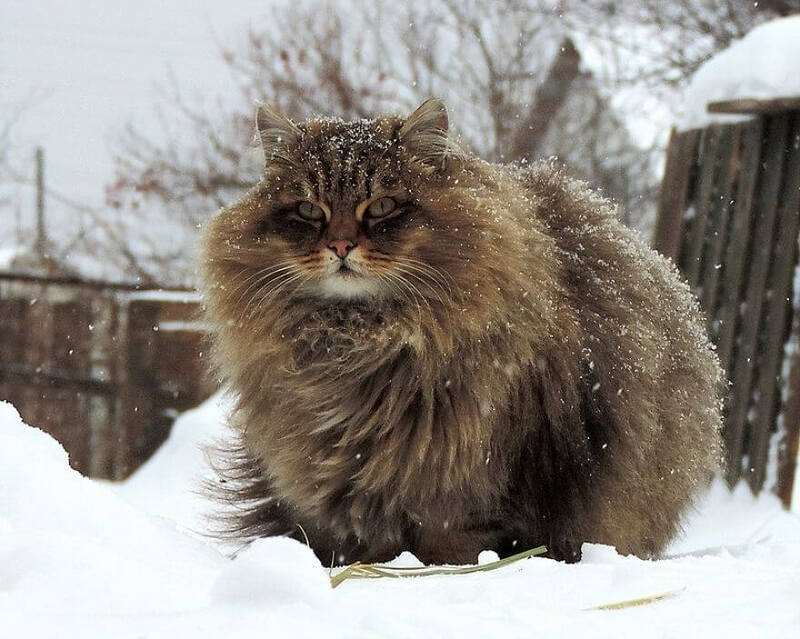 And you should too, pay attention more to the distinction between a Siberian Cat and a Norwegian Forest Cat. 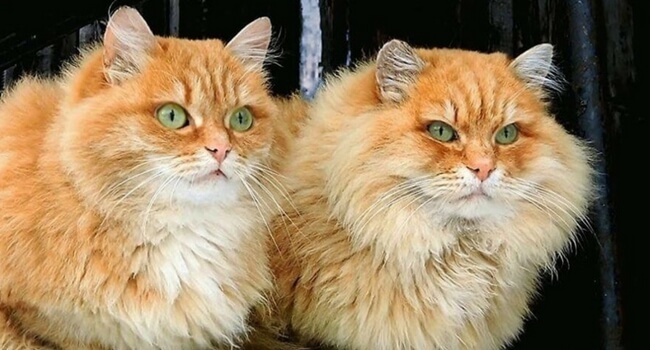 They are separate species. 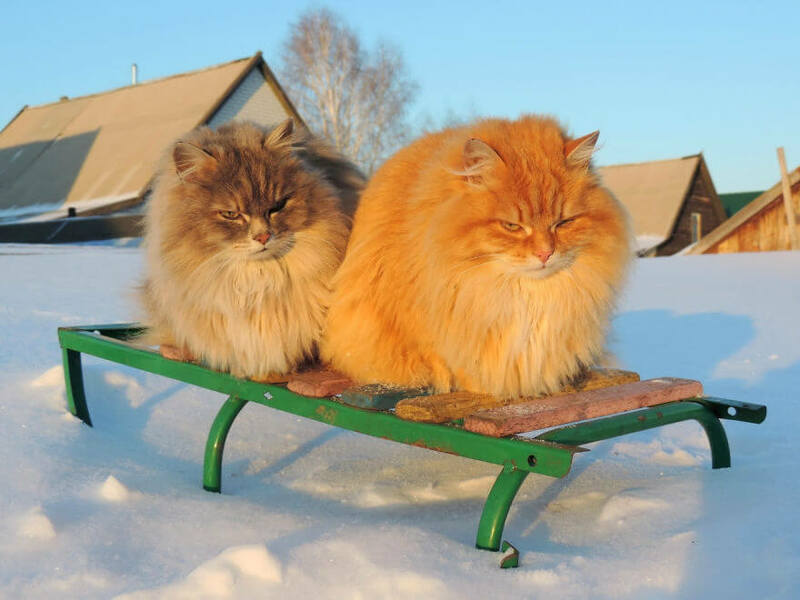 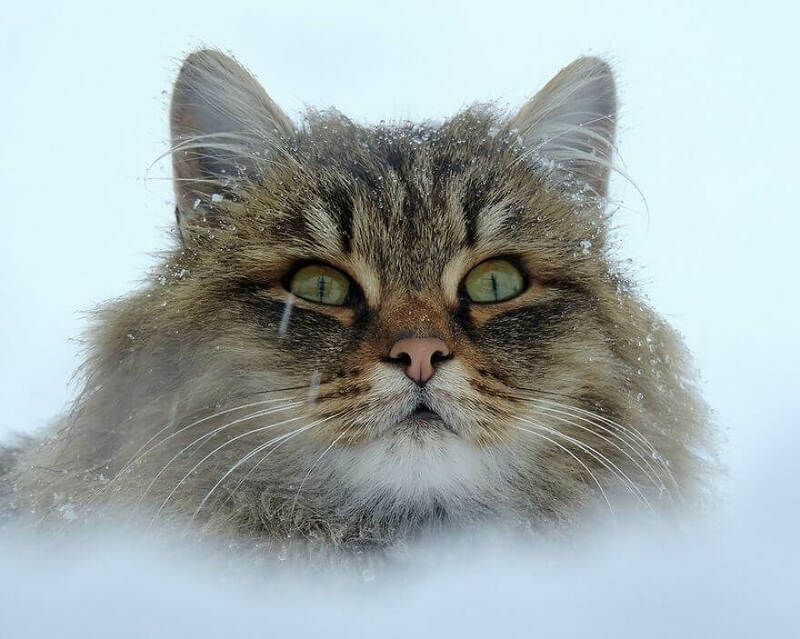 Oh, and by the way, if you share Alla’s photos of the precious Siberian Cats, don’t forget to credit them. 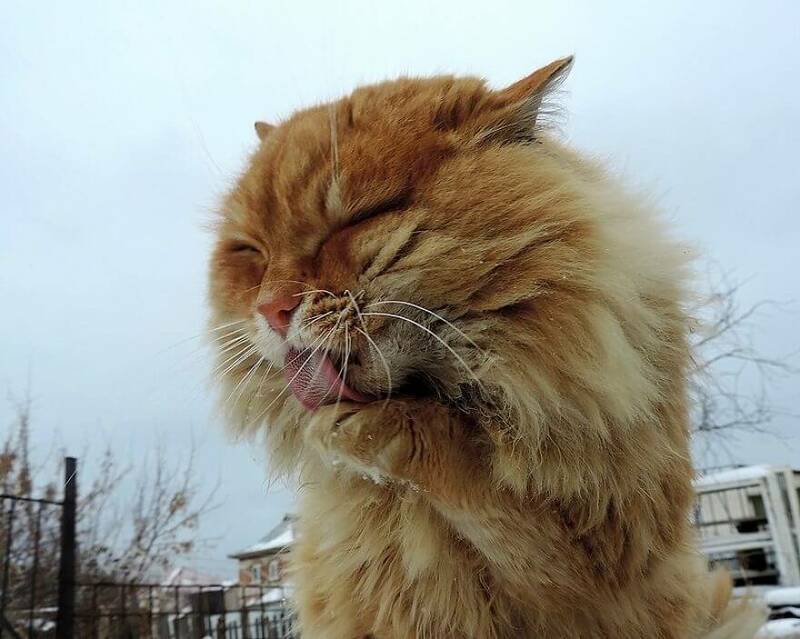 It’s for your health, you know! 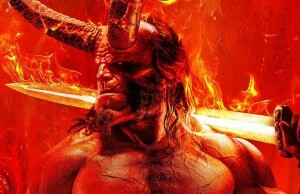 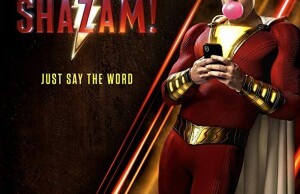 Now, it’s time for the scrolling to begin. 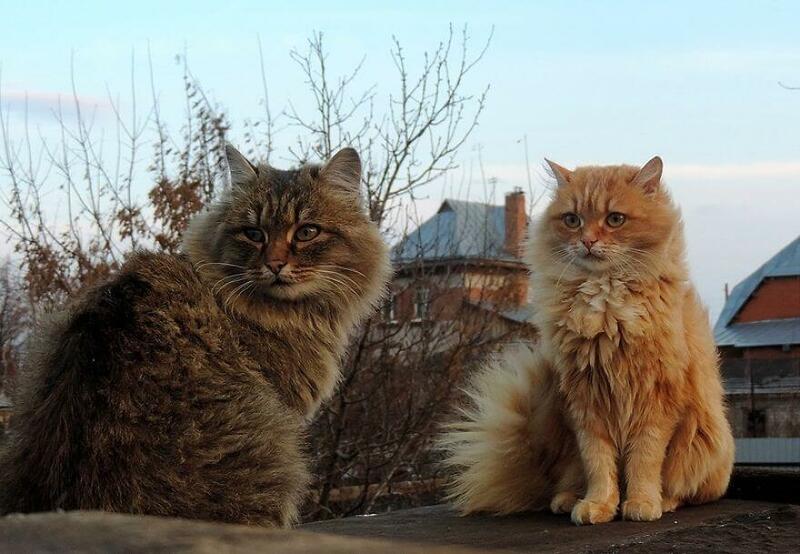 At the end, tell us if you’d like to visit Lebedeva cat hostel sometimes? 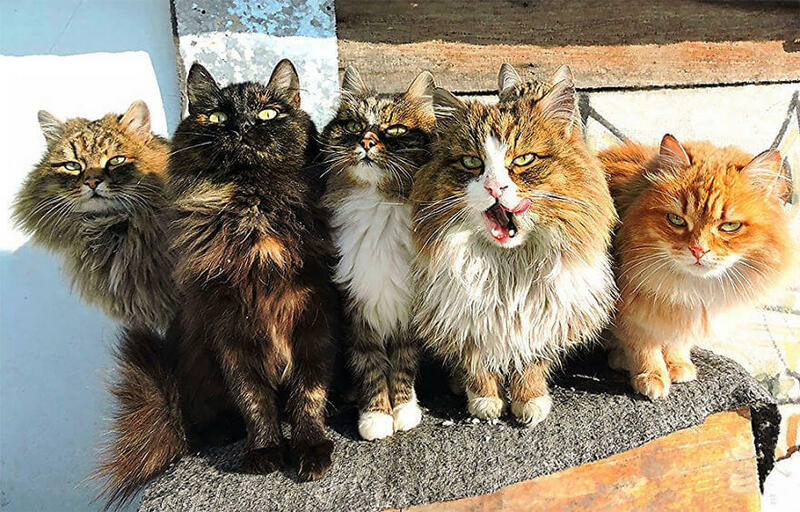 Aren’t her feline friends just glorious, stunning and gorgeous?